I travel a lot, especially abroad, which means many hours spent at airports around Scandinavia, Europe, and the world. Since I don’t like being in a rush, I will normally arrive at the airport two hours prior to my flight. That usually involves having to eat something while I wait. Since there’s nothing worse than a bad meal, I am as meticulous about tracking down the best food items at an airport as I am in a city. 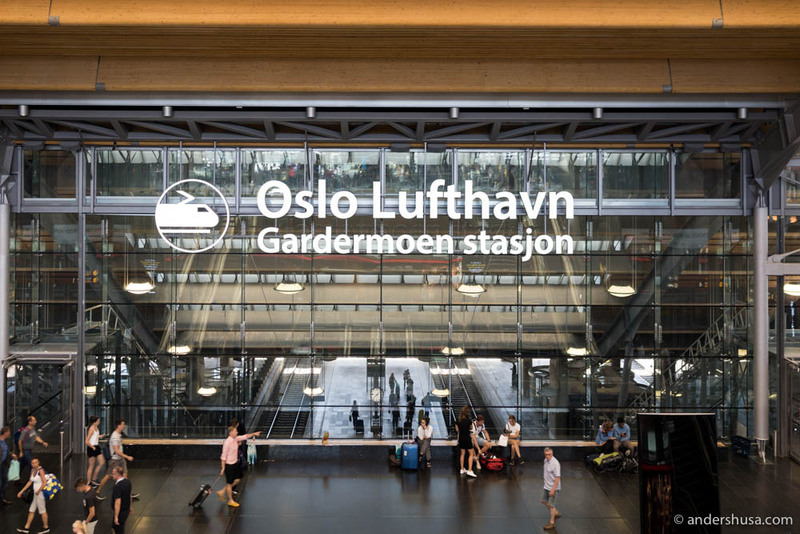 Avinor challenged me to guide my readers on what to eat at Oslo Airport – my local airport situated at Gardermoen outside Oslo. This guide is made in cooperation with them, but I have selected all the places myself. In the first round, I ate my way through each of their 17 food and drinks options in the international area, before I made my final selection. These are my favorite bites when I travel abroad from Oslo Airport. Perhaps Hedda’s favorite more than mine, as I don’t really consider myself a smoothie-kind-of-guy, but I’ll admit I’ve had this a couple of times for breakfast. 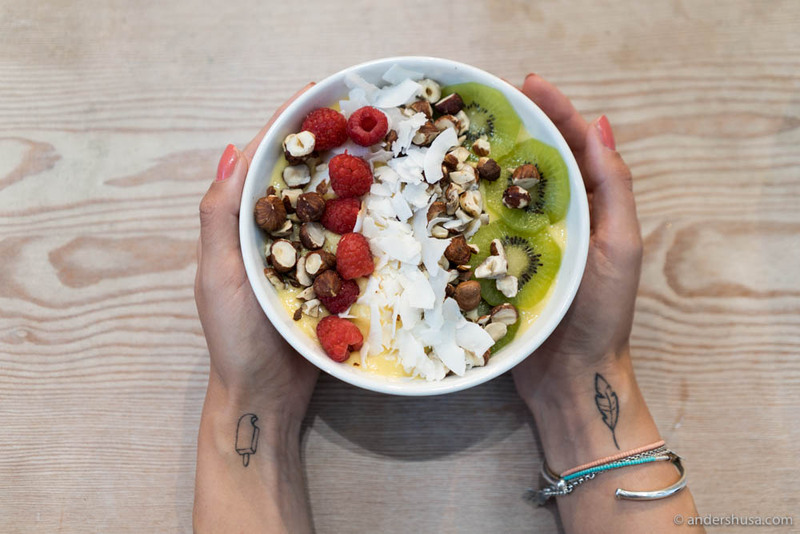 The Sunrise Bowl is ice cold and refreshing, filled with fresh fruits and berries. Sometimes that’s all you want in the morning. W.B. Samson is Oslo’s oldest bakeries and one of the better bakery chains in town. Almost everything they sell is made during the night at a central production facility in the city, to ensure the same stable quality everywhere, and then shipped to each location in the morning. W.B. 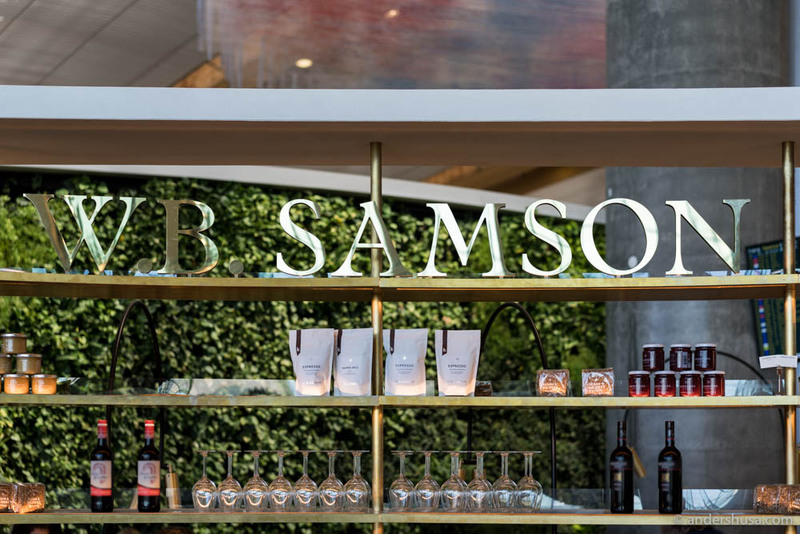 Samson is represented with three bakeries at Oslo Airport. One outlet before the security, one in the International area, and one right outside customs next to international arrivals. 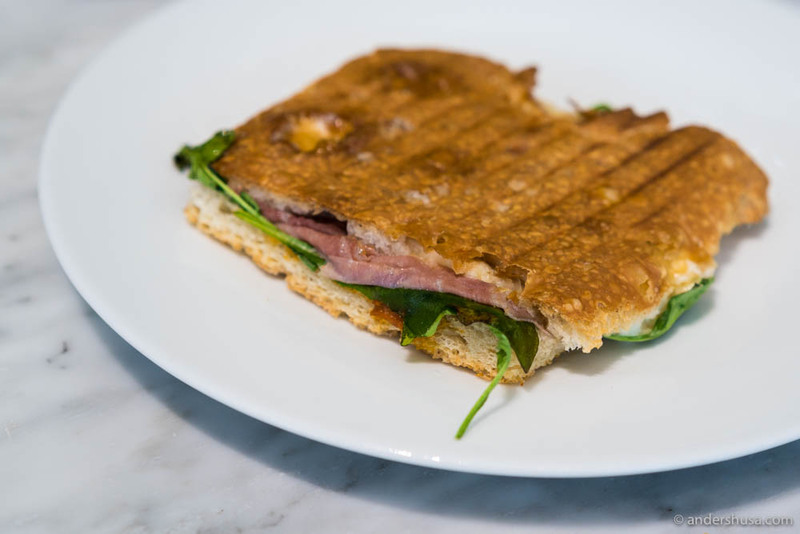 For breakfast, and sometimes lunch, I’ll get Samson’s focaccia with Parma ham, cheese, and spinach. You can enjoy it both fresh and toasted, but I prefer the latter. There’s something about that crunchy, light bread, and the melted cheese inside that is hard to resist. 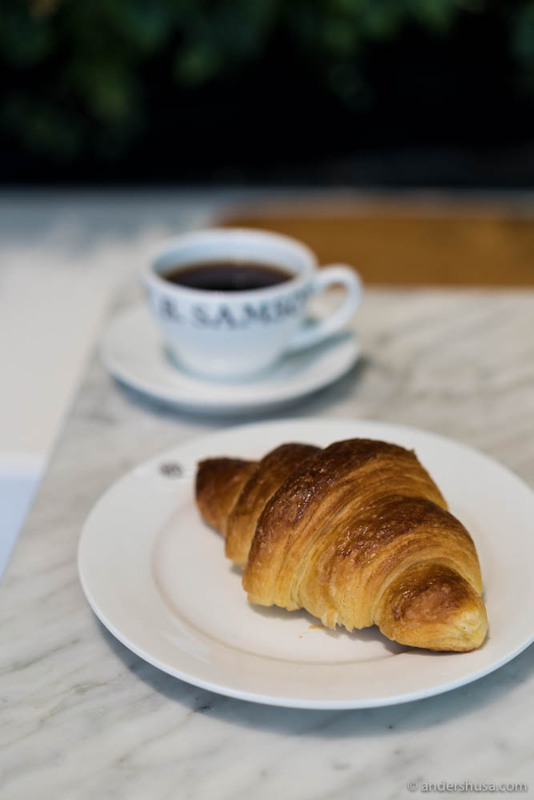 If I’m not hungry enough, which is not uncommon in the morning (I’ll admit I sometimes skip breakfast altogether), I might just get a croissant and coffee. When I have an afternoon flight, I might go for one of W.B. Samson’s pizzas instead. The very first venue where Samson started serving pizzas was at Grünerløkka in Oslo – only two blocks from where I live. Let’s just say I’ve had my share of their crunchy pies before. At Oslo Airport, the pizzas are only available in the International area, to my knowledge. The dough is delivered from the central bakery, but pizzaiolos in the kitchen prepare each pizza fresh to order, adding toppings and baking it in the burning hot oven for a couple of minutes. This is Roman-style pizza with a thin base and crispy crust. 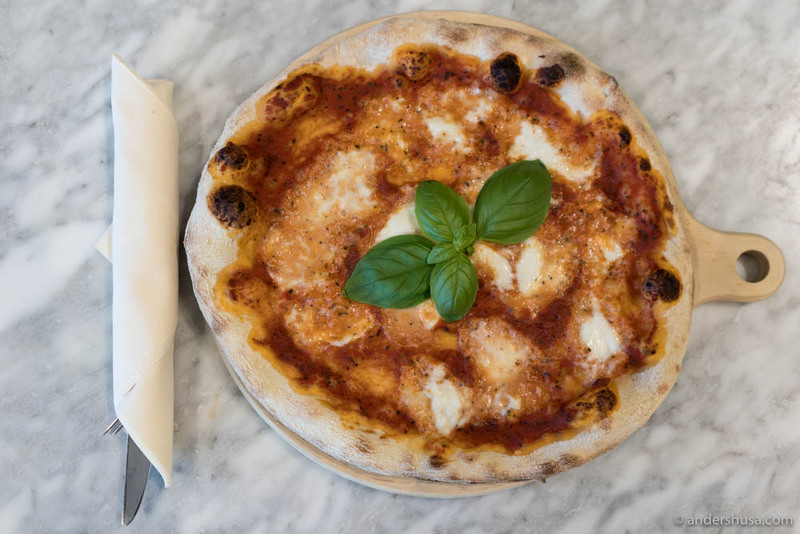 My favorite is the most simple one of all – Pizza Margherita with tomato sauce, buffalo mozzarella cheese, and fresh basil leaves. 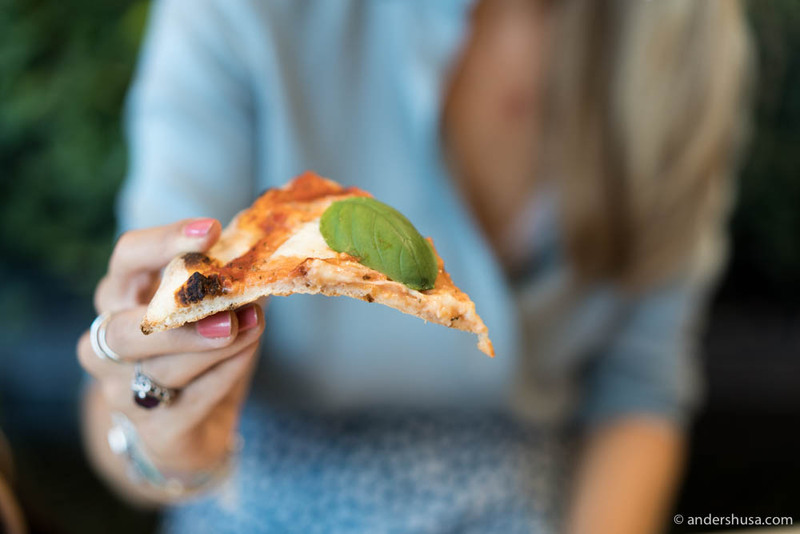 Pizza Margherita – tomato, buffalo mozzarella, and basil. Samson passed the slice test – there was enough crunch to hold the weight. 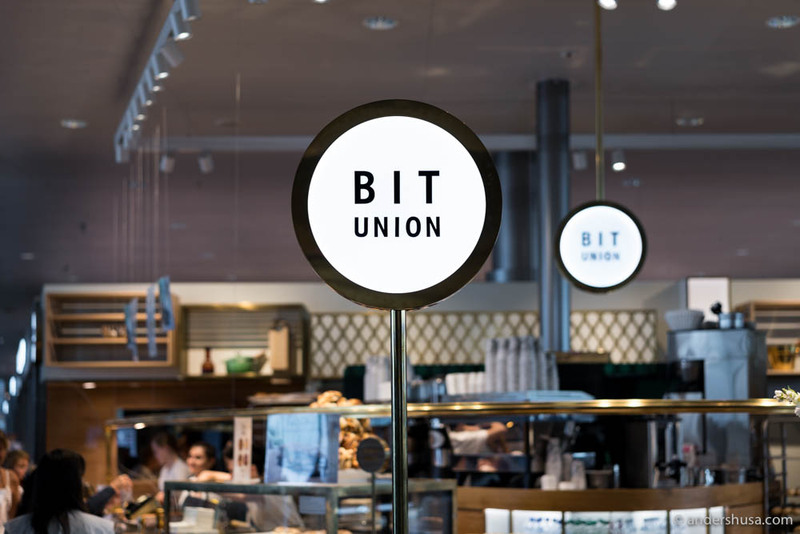 Possibly my most-eaten food item at Oslo Airport, because it’s so damn easy to grab and go, is the focaccia sandwich at BIT Union. The sandwiches are freshly made each morning and very popular, which means they sometimes sell out quickly. A focaccia split in half, one side spread with aioli, the other with mustard, and tucked in between is cheese, ham, and semi-dried tomatoes. Unlike many other airport sandwiches I’ve had around the world, this one does not feel dry and cheap, but rather fresh and tasty. One of my favorite places in Oslo city for seafood is the combined fishmonger and eatery Fiskeriet at Youngstorget. 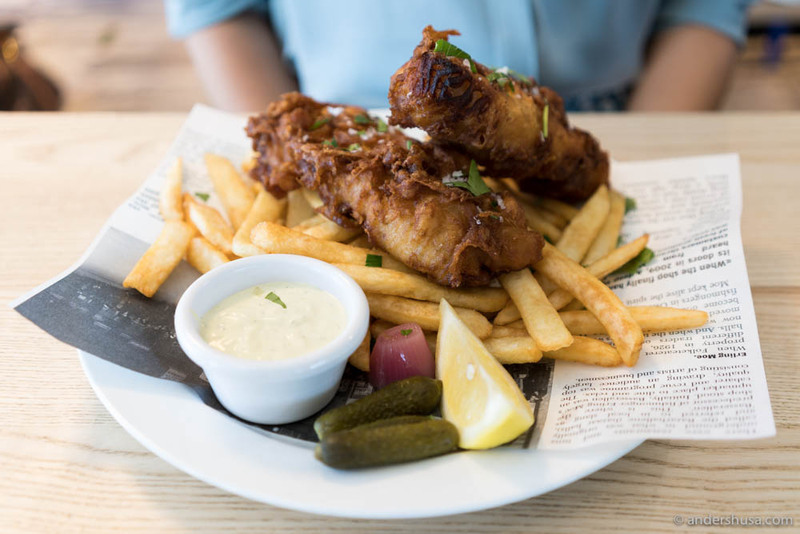 Their fish’n’chips is one of the best in town, perhaps number one. 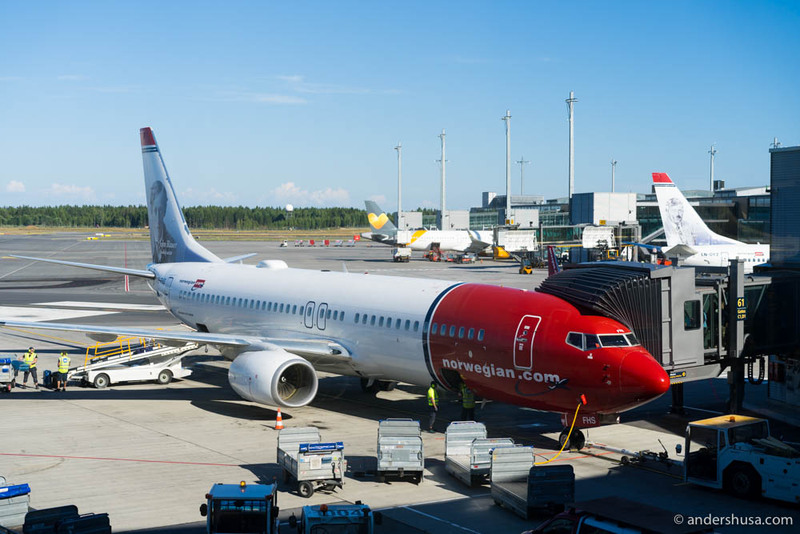 That’s why I was extremely happy to see them establish a second restaurant at Oslo Airport (and even a third one at Bergen Airport). 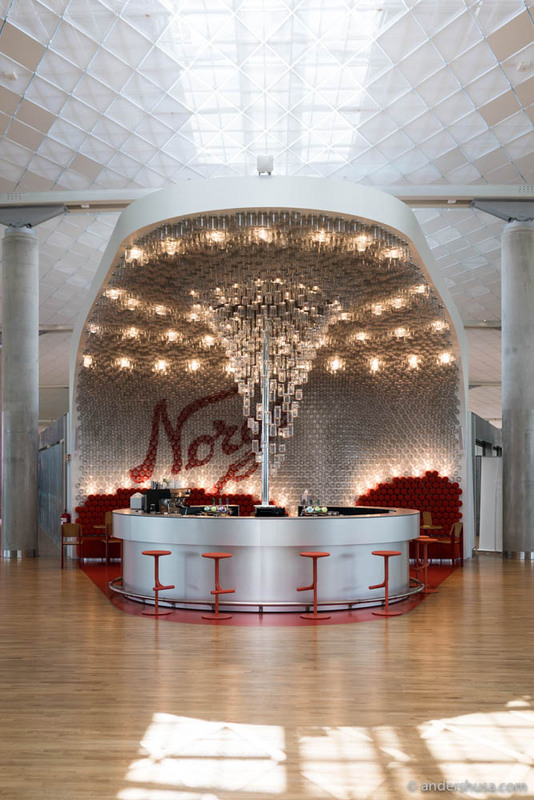 Fiskeriet has one of the top lunch or dinner deals you’ll find at Gardermoen, namely, the fish’n’chips. Each filet is covered in a batter, using the same recipe as their famous city center shop, and deep-fried until crispy and golden, then sprinkled with Maldon sea salt. Both the fish and fries are made fresh to order and served piping hot. Remember to squeeze lemon juice over the fish, and drizzle some Sarson’s malt vinegar on the fries. 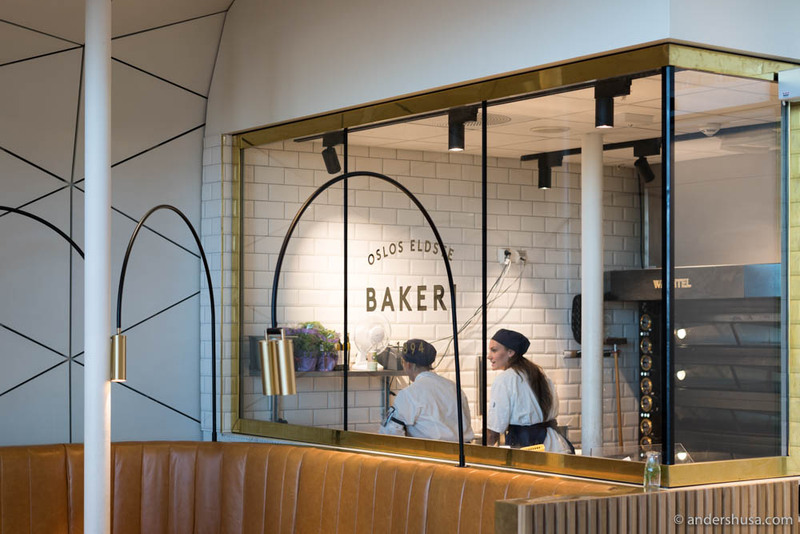 World-famous British celebrity chef Jamie Oliver’s Italian restaurant concept is the centerpiece of Oslo airport’s food and drinks selection. Located on a sort of mezzanine, one floor up from all the other, you have to take the escalators or stairs to reach Jamie’s Italian. 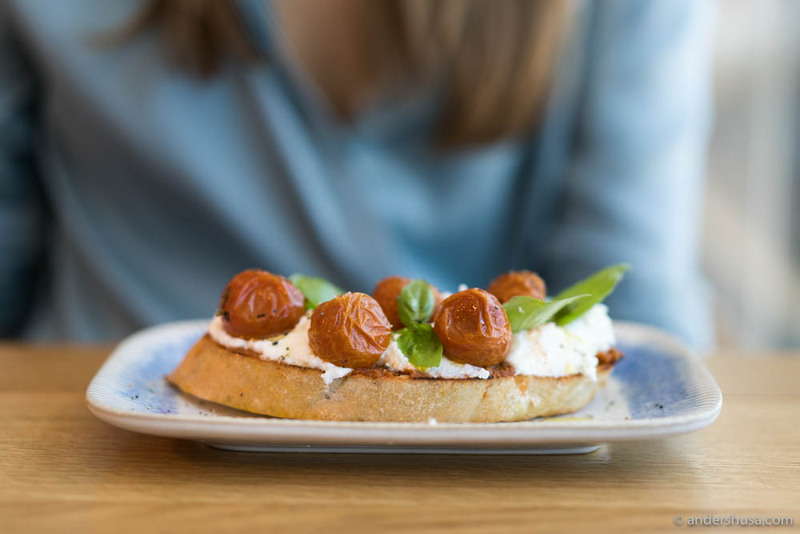 From the big menu, there’s one item, in particular, you should order – the bruschetta. A slice of bread is brushed with olive oil and toasted before it gets a spreading of tomato sauce, dollops of creamy ricotta cheese, several juicy and sweet cherry tomatoes, and, finally, fresh basil. The dish is well-balanced with salty and sweet flavors, rich in umami (mostly from the tomatoes), and the soft toppings are contrasted by the crunchy bottom. However, it’s not the biggest serving. Still hungry? Get a pasta. 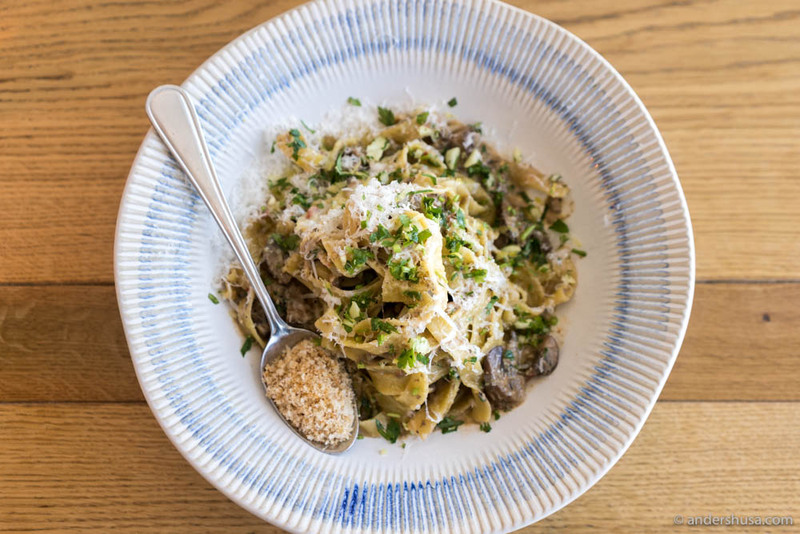 I like the porcini tagliatelle. 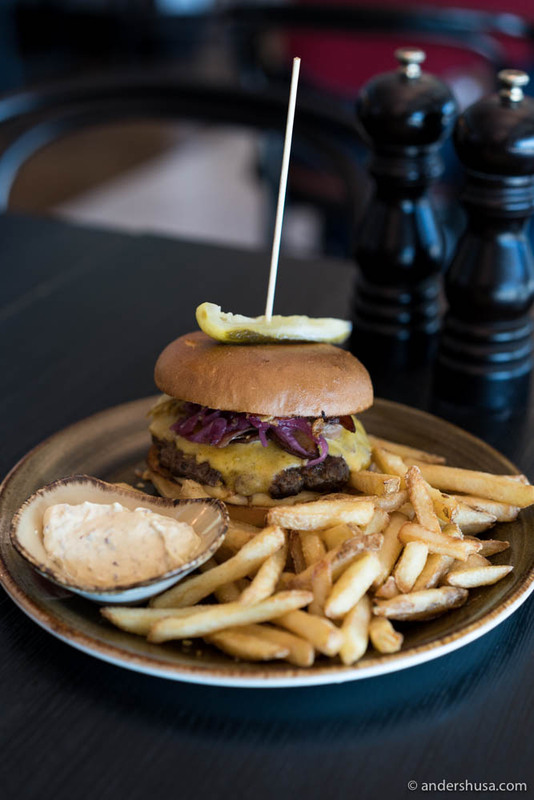 When you absolutely must have a burger and fries, and there’s nothing else that will satisfy your cravings, then head on over to restaurant Fjøla. Order their premium steakhouse burger with onion rings, cheddar cheese, bacon, and pickles. 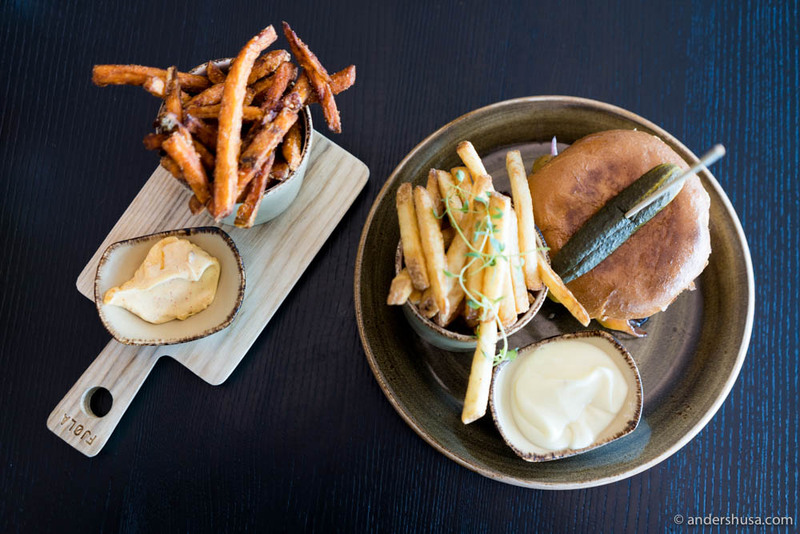 Make sure to get the sweet potato fries with baconnaise on the side. Unfortunately, due to strict Norwegian food regulations, they are no longer allowed to cook their burgers medium or raw. It has to be well-done. You’ll just have to make up for it with more mayonnaise. Welcome to Norway! Or goodbye, depending on your starting point. 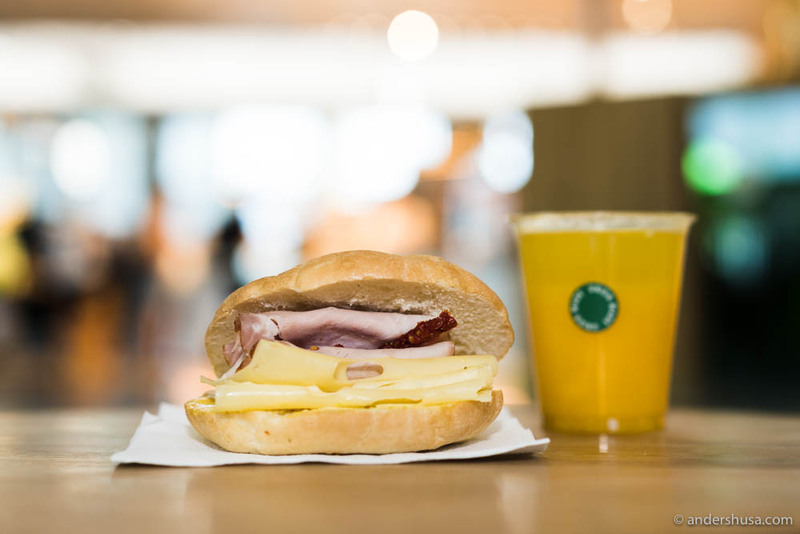 What’s your favorite bite at Oslo Airport? Please share in a comment below. This is paid promotion by Avinor. Sunrise Bowl at Haven! Very refreshing and a nice way to start the day.